Caroline Laguerre-Brown, the vice provost for diversity, equity and community engagement, said the number of students registered for disability support services has reached an all-time high because more students know about the resources DSS offers. More students are receiving support for disabilities than ever before. Disability Support Services is now helping more than 1,100 students, a record high for the office. In the last three years, the office has seen a surging number of students registering for accommodations related to mental health and chronic health conditions as they have become aware of the office and its services, Caroline Laguerre-Brown, the vice provost for diversity, equity and community engagement, said. 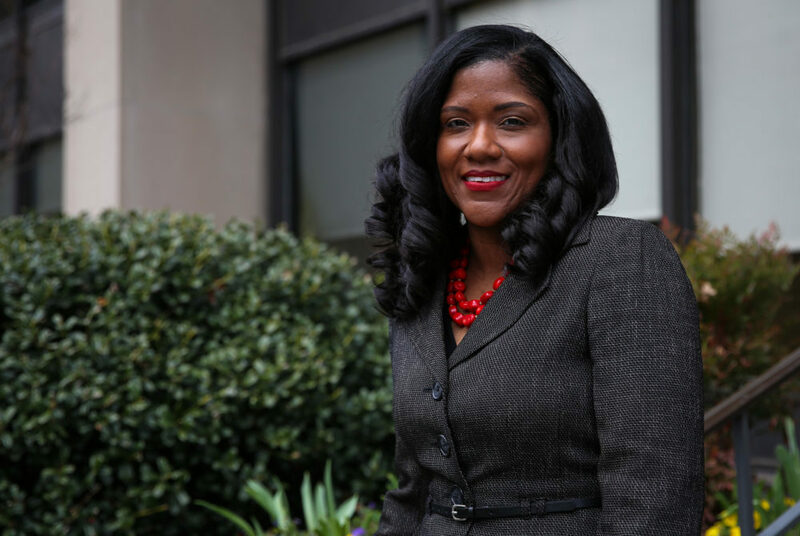 Laguerre-Brown said DSS has focused on increasing awareness of its services since she arrived at GW last August, but she wasn’t aware of a specific campaign to increase the visibility of the office on campus. “That could be true here on campus and likely is true out in the larger world that there’s just more info out there about disability laws and about protections that are built into those laws,” she said. DSS provides accommodations including assistive technology, like speech-to-text software, different classroom materials or alternative tests when students have a medical condition that could impact their academic success. Laguerre-Brown said the office is conducting a review to determine if it has the resources to keep up with student demand. The office is examining its number of staff members and how GW’s peer institutions staff disability support offices, she said. The office currently has 12 staff members, according to its website – two more than in 2007 when 740 total students were registered for DSS accommodations. In the last three years, accommodations for chronic health conditions – like diabetes and asthma – have soared by 60 percent and increased by 39 percent for mental health conditions like anxiety and depression, Laguerre-Brown said. In recent years, DSS has sought to expand its scope, offering more one-on-one support and partnering with the University Writing Program and law school in 2012. In the fall, the Student Association Senate passed a resolution backing a Congressional bill that aims to make educational materials more accessible for hearing and visually impaired students. SA senators said certain GW sites like Blackboard and Banweb could be more accessible for disabled students. Experts said in recent years more students have sought disability support at universities because new technology has given them access to higher education that they didn’t have before. Lisa Webb, the executive director of academic health sciences at Virginia Commonwealth University, said disabled students are increasingly welcomed at universities. “I think over time institutions are starting to see disability as an identity that adds to the diversity of the university community versus ‘this is just a population that we have to accommodate in order to comply with the law,’” she said. The Americans with Disabilities Act requires all colleges and universities that receive federal funding to make their programs accessible to students with disabilities by providing them with special accommodations when necessary. She added that there is less of a stigma surrounding mental health disorders, likely contributing to the increase in students getting support for those conditions. Manju Banerjee, the vice president of educational research and innovation at Landmark College, a Vermont college dedicated to students with learning disabilities, said that although the number of college students with disabilities is increasing, there are still students who received help in high school that don’t seek it out in college. She said students with disabilities who get accommodations are more successful academically than those who don’t use those resources.